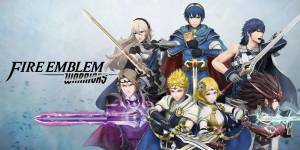 Fire Emblem Warriors is the latest spinoff title from Omega Force and Team Ninja, published by Nintendo and Koei Tecmo. The core gameplay is patterned to Koei Tecmo’s “Warriors” series of action, hack-and-slash games where players take control of heroes from conflicting factions and fight their way through hordes of enemies and enemy heroes in order to secure victory in a large battlefield. Notable characters from recent Fire Emblem titles like Fire Emblem Awakening and Fire Emblem Fates join original characters Rowan and Lianna as playable characters. Staple features of the Fire Emblem titles are incorporated in the game like the Weapon Triangle which determines the combat effectiveness of heroes against certain enemies and pairing and bond system is prominent in the entire gameplay. Welcome to Supercheat’s unofficial guide for this thrilling, action-packed title for the Switch and New 3DS featuring some of your favorite characters in the recent Fire Emblem titles in their full 3D glory. Please use the menu on the right to navigate. Please do follow our YouTube channel as we upload guide videos there as well. Thanks! No discussions open for Fire Emblem Warriors at the moment.